Yesterday, October 18th, our adoption of Jeremiah Michael Wilde was legally finalized … seven months and two days after his birth. This — our adoption story — has taken years of heartache as we embraced infertility, prayer and stress. In fact, the stress was apart of our adoption story up to the VERY end. So, yesterday I was converted about two or three times and I got to adopt my son! Awesome day. We were allowed to invite our families to the court room. They sat in the back while Nicki and I were each separately called to take the stand. We placed our left hand on the Bible and raised our right, solemnly swearing to tell the truth. The judge asked both Nicki and I, “Will you care for Jeremiah as your own?” Yes. We had said “yes” in our hearts since the day we found out about him. Fifteen minutes later it was over. We’ve been waiting for him for years. We took some pictures at the courthouse with our family. We took some pictures at a park on the way home. We had the fams over again for dinner and we took some more pictures. We celebrated the goodness. We celebrated the sacrifice of a young girl, whose gift continues to give us joy. We celebrated the life that will now be lived in our family. As many of you know, my wife and I are in the process of adopting our three and one half month old Jeremiah. We were there on the day of his birth and have been with him ever since. We have an open adoption with Jeremiah’s birth mom and we love her immensely. The process of adoption is incredibly beautiful, but it isn’t cheap. My sister Leah organized a fundraiser for us through “Both Hands”. Both Hands’ purpose is to help people raise funds for orphans (adoptive children) while serving widows through home improvement projects. A couple weeks ago, a team of our family and friends tackled a number of projects at Jane Rudewick’s home. My amazing friend, Andrew Hostetler, put countless hours into capturing the day on video and editing it down to an inspiring five minutes. Here’s our adoption journey video. You may recognize some of the clips from prior videos I’ve posted, but the majority of the footage is fresh footage, including the adoption ceremony itself. Even if you don’t know us personally, please advocate for both the adoption community and our personal adoption journey by sharing this video through facebook, twitter or your own website! Adoption is such a beautiful experience and we’d love for you to be apart of the adoption community and of our own personal adoption experience by sharing this video with your family and friends. If you’re interested in offsetting our $21,000 adoption expense, here’s a farther description of the fundraiser we’ll be doing through The Both Hands Project. Caleb and Nicole Wilde have answered God’s call and stepped out in faith to adopt an infant boy from the US. The Wilde Family and a team of volunteers will be working on a widow’s home to help raise funds to cover the high cost of adopting their sweet boy. 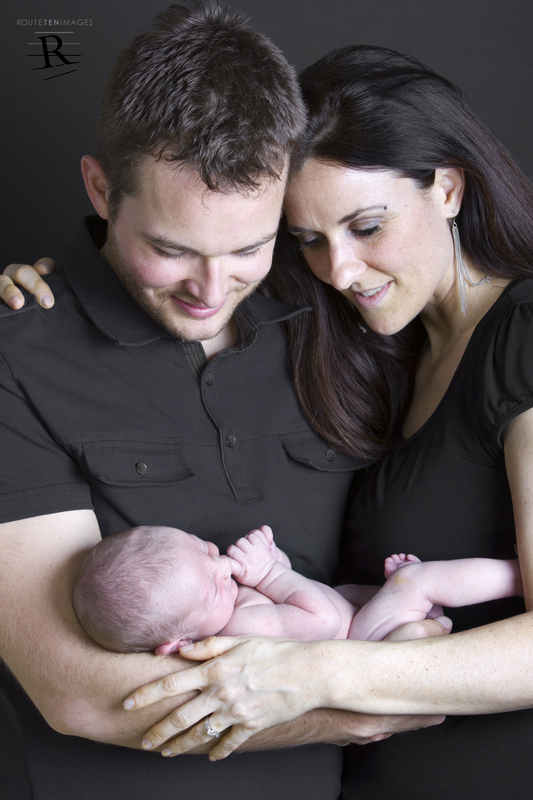 The Wildes were able to be at the hospital when their precious son, Jeremiah Michael, was born on March 16, 2012. Each volunteer is raising sponsorship for their day of work. Since most of the supplies for the repairs on Jane’s home are being donated, 100% of the money raised will help cover the high cost of adopting this precious boy, Jeremiah, into his forever family – the Wilde Family. So on June 9, the Wildes and a team of volunteers are going to serve Jane by completing improvement and repair projects at her home. If you are interested in helping us out financially in the adoption of Jeremiah, here’s the link to the organization that’s handling our fundraiser and finances. The link also provides a secure way to donate. Nearly two weekends ago we reveled in the uncomfortable in breaking narrative of the Kingdom of God. And as the narrative unfolded, we played the part of Jesus. We are used to playing the part of Jesus. After all, we’re Christians. We’re a “little Christ”, “followers of Jesus” who are supposed to think, feel and do like Jesus in this world. 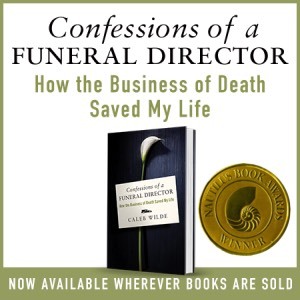 I work at a funeral home where I regularly minister – what I hope – is the compassion, grace and perspective of Jesus. Both my wife and I work and volunteer at a parachurch ministry for at-risk and vulnerable youth, being Jesus to youth who have little to no family. And this past weekend we were the adoptive couple to a healthy newborn baby boy. But, we didn’t play the part of Jesus that you might have assume we played. You – and I – would assume that we would have played the part of the redemptive Jesus. The Jesus who swooped down in the life of this little boy and rescued him from a potential life of difficulty. His biological father out of the picture. His biological mother fighting to provide for herself. And we – the 30 something, financially stable, mature Christian couple – swooped down to take him into our Christian family. We were the redemptive Jesus here. Right? Nicki and I were the poor and broken Jesus. The Jesus in the jail. We were the homeless Jesus. The whore Jesus. The Jesus on the street corner begging for money. We were the least of these. In this situation, we weren’t the Jesus who gave all, we were the Jesus who received all. We were the ones who couldn’t provide for ourselves. We were the ones who needed the redemptive Jesus to come in and make us whole. We were the couple who couldn’t conceive. We were the ones who needed to be lifted out of our misery by someone else’s act of unselfishness. And by one act of unselfishness, we were redeemed this last week. We were lifted up. We were made whole by a young woman who made the utterly unselfish choice to give us her baby. It’s not very often that we really get to act like Jesus. But last week, we were able to be Jesus – not in our giving – but in our receiving. I have been told that during the Iron Age parents would not name their child until it was a year old. The infant mortality rate was so high during ancient times that parents protected their hearts by simply not naming their son or daughter. It was a defense mechanism, a practical survival ploy for the parents, whereby they could shield their heart from attaching to a nameless child that was likely to die. Today – with the incredibly low infant mortality rate that science and medicine have provided us — we simply don’t have such a problem. Except, for those of us who adopt, there is a great risk that we could lose our child in the first couple months of our child’s life. And we could be tempted to distance ourselves from the child we’ve fought so hard to bring into our home. We could be tempted to hold back our love so as to protect ourselves from the possibility that he or she could be given back to the birth father or birth mother. Over the next nine months, Nicki and I will love, care for and attach ourselves to a child that wouldn’t legally be ours. Although it’s unlikely that we will lose Jeremiah, it’s possible. Not probable, but possible. In our specific situation, the birth father isn’t a part of the picture, but he does seem willing to fight the birth mother’s decision. And although the birthmother is honestly our hero, the birthfather could take away this little gift. If the birth father decides that he wants Jeremiah, if he hires a lawyer, and if he is deemed competent, Jeremiah is his to parent. Part of me wants to see the birth father as MY enemy. An enemy of my dreams, of my hopes for a family, and enemy of Jeremiah. But then I realize that he’s unintentionally gifted me this little guy that’s tucked into my chest even as I write. No, I want God to bless the birth dad. And I pray for him. I pray for him because I can’t help but love the birth dad. I pray for him, asking God to love on him something awesome. If he doesn’t sign off his rights, according to the laws of the Commonwealth of Pennsylvania, they will terminate in roughly five months. After those five months, Jeremiah will legally be in the custody of our adoption agency for four months. And after those four months are over, we meet with a judge and Jeremiah legally becomes our son. Its nine months of emotional labor, with these first four to five months being extra taxing on Nicki and I.
We’re jumping all in, though. We’re NOT going to be the parents of the Iron Age and attempt to distance ourselves so as to avoid being hurt by loss. We’re going to love as much as we can, the best we can, with as much of ourselves as we can give. We are going to love Jeremiah Michael Wilde (that is his legal name … a gracious gesture given to us by the birth mother when she filled out the birth certificate). And if we lose Jeremiah, we might have intense pain, but we’ll have no regret. In the meantime, we’ll love and live and … we’ll fundraise (more on that later). We SO don’t want to lose him. It’s amazing how much your heart can love in just one week. So, please pray for us. Pray that we’d be “all in” and love without worry. Pray for the birthfather. Pray that God would bless him. And pray that we’d be blessed to have the privilege to legally adopt Jeremiah. And if you’re not the praying type, send us your love and hope.